Council meetings are held on the first and third Thursday of each month commencing at 5.30 pm. Council meetings are held in the Council Chamber at Council's Administration Centre—44 Princess Street, Macksville. Kids Helpline is Australia’s only private and confidential counselling service specifically for young people. Children and young people are now most likely to contact Kids Helpline from a mobile phone, but not all calls are free. Optus has provided free calls for ten years and in 2011 Vodafone elected to do the same. Although the largest network in Australia, Telstra still charge children standard call rates to contact the service. That Council write to the Chief Executive Officer of Telstra requesting Telstra join the other two major network providers in providing free calls to Kids Helpline. Kids Helpline is Australia’s only private and confidential counselling service specifically for young people. Established in 1991 it provides twenty-four-hour, seven-days-a-week counselling for young people aged five to twenty five years. Calls from mobile phones now represent almost seventy percent of all calls to Kids Helpline. Of the three major network providers (Optus Vodafone and Telstra) Telstra, although the largest, is the only one who does not provide free calls. Council received a suggestion that a plaque be placed on the Macksville Traffic Bridge detailing the date of the opening and the name of the person who opened it. As this is a matter for the Roads and Maritime Services (RMS) it is recommended that the suggestion be forwarded to them. That Council write to the Roads and Maritime Services suggesting that a plaque commemorating the opening be placed on the Macksville traffic Bridge. Council received a suggestion that a plaque be placed on the Macksville Traffic Bridge detailing the date of the opening and the name of the person who opened it. As this is a matter for the RMS it is recommended that the suggestion be forwarded to them. It is believed that the bridge was opened to traffic on 12 December 1931, the year before the Sydney Harbour Bridge, by the Hon. TR Bavin MLA leader of the then Opposition in State Parliament. The ceremonial ribbon on the bridge was cut by eighty-year-old Mrs Eliza Ainsworth, the widow of John Bowen Ainsworth, a prominent local citizen and the ribbon and scissors are held at the Mary Boulton Pioneer Cottage and Museum in Macksville. It is suggested that both the Hon TR Bavin MLA and Mrs Eliza Ainsworth be recognised on the plaque. Quarterly performance review be presented to Clrs for comment at the first Council meeting of the month; with comments to be received by the next business paper deadline; and with the Performance review + Councillors comments to be considered at the following GPC. Also dot points be replaced with no’s & an electronic copy to be provided to those Councillors who want it. GHD commissioned. Plan anticipated in March 2011. In progress – report to October Council meeting. Agenda for Oct GPC too large. Policies have been classified. GM & Directors to review and update at least 25% of their policies annually. To be the subject of a further report. Cannot be funded before 2012/2013. November GPC. Deferred to December GPC. GM to discuss with Property Officer. Inspection to be scheduled to coincide with Work Cover availability. Establishment of a stand alone library now taken priority over property arrangements with other Councils. WorkCover Authority of NSW be invited to review the Macksville Saleyards and Saleyard Risk Assessment to provide advice on what is reasonably practicable to satisfy Council’s obligations under the Work Health and Safey Act 2011.
Letters sent 9 November 2011. Response received from Office of Environment & Heritage – circulated to Councillors. Farmland criteria to be revised prior to the issuing of the 2012/13 rates. Given recent resignation of Rates Officer this may not be possible for reasons of workload. That a report come to Council on the status of the emergency evacuation plan in relation to the Wellington Drive, Nambucca Heads precinct and the development of the track in the sand dunes to Shelly Beach as per the “Our Living Coast Program”. .Report to 2 February Council meeting. Deferred to second meeting in February 2012. That Council investigate the possibility of acquiring additional land from NSW Forests to expand Council’s current waste management depot. Council write to the relevant Minister re caravan park regs expressing frustration with the reg. that allows siting of a home seven days before notification to Council. Council make representations to the Dept of Planning & Infrastructure to endorse & include Nambucca Heads (northern interchange) or the Macksville (southern interchange) as a permissible location for a Highway Service Centre in the Mid North Coast Regional Strategy. Council defer its decision on the RFS draft bid until the 1st meeting in February 2012 and DES endeavour to seek an explanation of how the program charges are calculated etc. Council receive a report on the type and costing of fencing at the base of the cliff beside the Nambucca Heads SLSC. Council is the Reserve Trust Manager for Crown Reserve 85113. Part of the Reserve has been leased to the Nambucca Heads RSL and Ex-servicemen Club Limited until 7 November 2021. The Lessee has requested consent to the assignment of the sub leases. Consent has previously been given for two sub leases (one for the Kiosk and one for the boatshed). In this instance the request is to assign the subleases for the Kiosk and the Boat shed to Wi-Bi Group Pty Ltd.
1 That Council in its capacity as Reserve Trust Manager of Reserve 85113 endorse the assignment of the sublease of 1/866932 and 2/866932 PART, being part of Reserve 85113 for public recreation notified 20 November 1964 and known as Shop 1 (Boatshed) and Shop 2 (The Kiosk) to Wi-Bi Group Pty Ltd.
2 That Council authorise the General Manager and the Mayor to execute and to affix Council's seal on the assignment of the subleases of 1/866932 and 2/866932 PART, being part of Reserve 85113 for public recreation notified 20 November 1964 and known as Shop 1 (Boatshed) and Shop 2 (The Kiosk) to Wi-Bi Group Pty Ltd. Clause 8 of the lease to the Nambucca Heads RSL and Ex-servicemen Club Limited makes provision for sub leasing. Clause 8.2 precludes the Lessor (Council) from withholding consent if particular conditions are met. In this instance all conditions have been adequately met and therefore there is no option. In turn the Nambucca Heads RSL and Ex-Servicemen Club Limited has sub let the demised areas known as Shop 1(The Boatshed) and Shop 2 (the Kiosk). Clause 8 of the head lease to Nambucca Heads RSL and Ex-Servicemen Club Limited provides that the Lessee may only sub let all or part of the demised land with the written consent of the Lessor and the Department of Conservation and Land Management (now the of Department of Lands). I am unaware of the Lessee being in default of any lease provisions as at 21/12/2012. In a particular all rent is and has been paid on time. Council has no grounds, nor foreseeable reason to withhold consent to the sub lease. It is recommended that Council, in its capacity as Trust Manager, endorse the assignment of the sub-lease as requested. The recommendations do not give rise to any social issues. Arguably the continued provision a riverside kiosk and boatshed provides a positive social aspect to the recreational facilities on the River. Variance in working funds is not required. At Council’s meeting on 7 December 2006 it was resolved that there be a quarterly return submitted to Council on grant programs. That the list of grant applications and their status to 20 January 2012 be received. Weed control from Swimming Creak to Deep Creek. Installation of geo-textile for dune stabilisation, working with Nambucca Dunecare Group. * The Draft Environmental Levy Fund, which Council considered in October 2011, identifies $40,000 for the implementation of actions from the Nambucca Coastal Zone Management Plan. 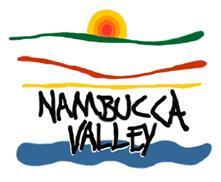 The application is to fund a water theme park in Bellwood Park as proposed in the Nambucca River Master Plan. The funding from Council would be for the replacement of the existing dilapidated toilet block. Council has received the attached letter from G J Kennedy & Co Pty Ltd advising they have established the Macksville Saleyards Advisory Committee as recommended by Saleyard Operators Australia, now known as the Australian Livestock Marketing Association. It is recommended that there be a report to Council on providing delegated powers to the Committee which has been established by G J Kennedy & Co Pty Ltd.
That a report come to Council on the composition of the Saleyards Advisory Committee and the provision of delegated power under Section 355 of the Local Government Act. Council can continue with the existing Saleyards Advisory Committee or delegate powers to the proposed Committee. Alternatively the Saleyards can operate without any Committee of Management although this is not recommended under the Australian Code of Practice. The Australian Code of Practice for the Selling of Livestock referred to in the letter makes reference on page 13 (clauses 3.1 and 3.2) to the composition of Saleyard Advisory Committees and that the Committee should include (but is not restricted to) representation from buyers, agents, vendors, livestock carriers and council representatives, with the saleyard manager in attendance. In NSW the participation of a veterinarian is also recommended to aid in the management of animal welfare. According to the Code of Practice the saleyard operator is responsible for the coordination and continued functioning of the Committee (not Council). The letter does not refer to the compliance or otherwise of the Saleyards with the other 56 pages of detailed recommendations. 355 How does a council exercise its functions? (e) by a delegate of the council (which may, for example, be a Voluntary Regional Organisation of Councils of which the council is a member). Council will need to formally delegate authority to the proposed Macksville Saleyards Advisory Committee responsibility under Section 355. Pending any decision on the future of the Saleyards, it is proposed that a report come to Council on providing delegated powers to the proposed Macksville Saleyards Advisory Committee under Section 355 of the Local Government Act. The delegated powers should cover the preparation and management of a budget for the Saleyards. The Committee should also be asked to report on the compliance of the Saleyards with the Australian Code of Practice. The Committee members will be subject to the provisions of Council’s Code of Conduct and where required will have to declare a pecuniary or conflict of interest. There has been consultation with the Manager Business Development. There are no particular implications for the environment. There are no particular social implications. There are no particular economic implications. As the owner of the facility, the Council remains ultimately liable for the Saleyards. However it is a positive step that the Operator has taken the initiative to establish the Committee and consider the requirements of the Australian Code of Practice and the financial issues concerning the funding of the Saleyards. Advice of a grant funding offer has now been received from the Hon. Duncan Gay MLC, Minister for Roads and Ports providing $47,733 towards the Scotts Head boat ramp reconstruction. Council has to match the funding. Matching funding from Council’s Section 94 reserve for Community Facilities and Open Space has been previously approved. 1 That the information concerning Council’s successful application for $47,733 of funding from the NSW Government’s Better Boating Program for improvements to the Scotts Head (Forsters Beach) boat ramp be received. 2 That Council formally accept the offer of $47,733 from the Better Boating Program for improvements to the Scotts Head (Forster’s Beach) boat ramp. Council could reject the funding offer. This may adversely impact on future funding applications. In the Section 94 Planner’s report to Council in July 2011, improvements to the Scotts Head boat ramp (Forsters Beach) were endorsed for inclusion in the Section 94 works schedule. It will be recalled that shifting sand had left a large drop between the edge of the concrete and the beach. At Council’s meeting on 15 September 2011 it was reported that an application for improvements to the Scotts Head Boat Ramp had been made under the State Government’s Better Boating Program for $47,743, funding which Council would need to match. Council endorsed the Section 94 works schedule including the proposed refurbishment of the Scotts Head boat ramp. Expenditure endorsed. Dependent on grant funds and also sand moving away from ramp. Advice of a funding offer has now been received from the Hon. Duncan Gay MLC, Minister for Roads and Ports. A copy of the advice is attached. Council has received an offer of $47,733 towards the Scotts Head boat ramp reconstruction which is $ for $ funding. A concept plan for the reconstruction of the boat launching ramp and access ramp to the beach has been prepared and is a circularised document. It is proposed that Council accept the funding and proceed to finalise the concept design for construction. Approvals will be required for work on the foreshore. There has been consultation with Council’s Grants Officer and Manager Civil Works. Council’s Engineering Designer has consulted with the Scotts Head Fishing Club. An assessment of environmental impact will need to be undertaken before construction. Approvals will be required from Fisheries and Maritime Services. The Scotts Head (Forsters Beach) boat ramp is a very popular recreational asset which is often used for launching up to 20 boats on weekend mornings when the weather for fishing is favourable. It is also used by the Macksville Scotts Head Surf Life Saving Club for launching rescue craft. The side slopes on the existing ramp are excessive and hinder access by people with a disability. There are no significant economic impacts. There are risks with constructing anything in the surf zone. The existing boat ramp has held up well, but the recent coastal erosion associated with the La Nina and warmer Indian Ocean weather events has resulted in sand being removed from the toe of the boat ramp. Funding for the work is provided for in the Section 94 reserve for Community Facilities and Open Space and through the grant funding. The NSW Local Government and Shires Associations propose to support a national advertising campaign to support the constitutional recognition of local government. This Council’s special levy would be $13,251.99 plus GST. The Executives of both Associations resolved that the levy be payable in three equal instalments over three financial years, so as to reduce the financial burden on councils. That Council make provision in its 2012/2013 budget for an expenditure of $4,417 plus GST as a special levy to the Local Government and Shires Associations for an advertising campaign to support the referendum on the constitutional recognition of local government. Council can elect to make no financial contribution. Council has received the attached correspondence from the Local Government and Shires Associations. In essence the NSW Local Government and Shires Associations propose to support a national advertising campaign to support the constitutional recognition of local government. This follows on from a commitment from the Prime Minister, the Hon. Julia Gillard MP to hold a referendum in conjunction with the next Federal election to include recognition of Local Government in the Australian Constitution. The Australian Local Government Association (ALGA) will be asking all State and Territory Associations and their member councils to contribute financially to a large scale national advertising campaign to gain public support for a “yes vote” when the time for a referendum comes. The referendum, to be successful, requires a majority of “yes votes” from a majority of voters, and a majority of the states. The ALGA estimates that a national advertising campaign will cost more than $10m and that NSW Councils would be expected to contribute approximately $2.7m to this amount. The NSW Local Government and Shires Associations are providing early advice so that Council may include funding for the advertising campaign in its budget for the 2012/2013 year and beyond. The LGSA resolved that the $2.7m required by the ALGA for the national advertising campaign be sought from members by way of a special levy. Each councils’ share of the levy would be payable in three equal instalments over a three year period, commencing 1 July 2012. Council is advised that should the referendum or the national advertising campaign not go ahead for any reason, instalments paid to the LGSA would be refunded. The requested special levy is a substantial amount of money for this Council compared to the funds it invests in its own advertising/marketing. At this early stage it is only recommended that Council make provision in its 2012/2013 budget for a one third instalment of $4,417. If there is bipartisan support for the referendum it might be queried why any promotional funds need to be spent. The other point is that in conducting a referendum the Federal Government has an obligation to inform the community about the yes (and no) case. There is a risk that the referendum may fail. This would invite continuing constitutional uncertainty regarding the ability of the Federal Government to provide grant funding directly to local government. The recommendation will result in a funding allocation in the 2012/2013 budget of $4,417 plus GST. § Crematorium will create “black spot” on highway as turning lane into Foxs Road won’t be long enough for funeral traffic and traffic coming out of Foxs Road will find it difficult to judge gap in traffic. Have tried to chase up the RTA, however still awaiting response. No response from applicant (7/11/11) re high likelihood of Aboriginal artefacts being found, as per advice from Nambucca Heads LALC. Requires a modification of the original subdivision as outside approved dwelling envelope. Currently being assessed in light of concerns and information provided by architect. Environment and Planning Department Development Application statistics for the financial year 2011-2012 compared with 2010-2011 and Certificate Applications received and determined are provided in the body of the report. 1 That Council note development application statistics and processing times for July 2011-June 2012 compared with July 2010-June 2011. 2 That Council note Occupational Certificate released for the years 2007 to 2011. 3 That Council note the statistical information for Applications and Certificates received by Council for 2007-2011. The figures show a 32.26% decrease in the number of DA’s received to December 2011 with construction costs decreasing by -113.68% compared to the same period in 2010/2011. The total number of DA’s/CD’s approved for the month of December was 11 plus 7 modifications. For Council’s information, below are listed Development Applications and Complying Development Applications received by Council and applications determined under Delegated Authority. Tenders for the construction of the Nambucca Heads Sewage Augmentation were awarded to Monadelphous Engineering Pty Ltd on 9 October 2009 for the amount of $17,408,388 inclusive of GST. The completion of the contract has been significantly delayed as a result of wet weather conditions during construction and electrical control problems since the construction was completed. The commissioning of the new plant is now expected to commence at the end of January and it should be operating effectively by mid March. However all works under the contract including upgrades to the existing IDEA tank and the demolition of the existing trickling filter are unlikely to be completed prior to the end of September 2012. Expenditure to date on the contract is $17,107,896 and the final contract cost is estimated to be near enough to $18 million. That the status of works on the Nambucca Sewage Augmentation Contract be noted by Council. A contract for the construction of the Nambucca Heads Sewage augmentation was awarded to Monadelphous Engineering Pty Ltd on 9 October 2009 for the amount of $17,408,388 including GST. The contract was scheduled to be completed as a series of nominated task milestones with an estimated completion time of 98 weeks. However the contract has been subject to significant delays and is now months behind schedule with the new plant yet to be commissioned. The initial delays were the result of the construction works being badly affected by the continuous heavy rainfall events that occurred during both 2010 and 2011. The contractor has been entitled to extensions of time for these events. More recent delays have been caused by problems that have occurred in the electrical control systems since construction was completed and this has prevented the final commissioning of the plant. · Demolition of existing trickling filter plant that is made redundant. The commissioning of and introduction of raw sewerage into the new plant is now scheduled to take place at the end of January and it is estimated that it may take approximately 6 weeks for the treatment process to stabilise and the plant to operate effectively. The remaining works are estimated to be completed within a further 28 weeks, however, these works are not critical to the operation of the plant. Expenditure on the contract to date is $17,107,896 and the final contract cost is estimated to be near enough to $18 million. The cost of variations approved to date totals $571,252.44 and at 3.3% of the original contract sum this is considered to be a good outcome for infrastructure works of this nature. It should also be noted that the most significant variations were the replacement of a mobile diesel generator with two permanently fixed emergency diesel pumps and the enlargement of a sludge lagoon and these were included at Council’s request. Although the delays to the contract have been frustrating for all parties they have not been the cause of any significant cost increase to Council. NSW Public Works, Coffs Harbour. The construction contract has had no significant social impact. The construction contract has had no significant environmental impacts. The construction contract provided an economic stimulus to the local economy as a number of local contractors were engaged to complete various components of the construction works. The majority of the risks associated with the construction work have been mitigated with no significant impact on the contract. This is evident in the relatively low cost of variations works when compared with the potential contingencies identified in the original risk register for the project. The funding to complete the project has been allocated in the current budget and there is likely to be a carry over into the 2012/13 budget. Funding has been sourced from Council reserves, loans and the State Government through the Country Towns Water Supply and Sewerage program. The Rural Fire Service Acting Area Manager for the Lower North Coast Zone addressed Council at the January General Purpose Committee meeting in relation to the Rural Fire Service “BID” for 2012/13. The draft BID for 2012/13 is $248,432.27 and does not include state program charges. The 2011/12 contribution (including program charges) which was reported to Council in December 2011 is $276,130.13. 1 That Council endorse the Rural Fire Service “BID” for 2012/13 financial year. 2 That Council write to the Commissioner for the Rural Fire Service and advise that the 2012/13 Rural Fire Service “BID” of $248,432.27 has been endorsed by Council as presented by the acting Zone Manager at Council’s January General Purpose Committee meeting held on 18 January 2012 and that Council will not endorse any further increases to the draft bid as presented. 3 That Council write to the Minister for Police and Emergency Services and the Deputy Premier, the Hon Andrew Stoner MP, advising that Council has endorsed the Rural Fire Service “BID” for 2012/13 to $248,432.27 and seek their support to ensure that there are no further increases to the enclosed Rural Fire Service “BID” for 2012/13. At Council’s meeting on 19 January it was resolved to defer a decision on the Rural Fire Service draft BID until Council’s first meeting in February 2012 and in the interim, Council’s Director Engineering Services endeavour to seek an explanation of how the program charges are calculated noting the recent mistakes which have been made in the issued charges. Further, if the Rural Fire Service refuses to explain how the program charges are calculated, they be requested to provide their reasons. Council’s Local Member, the Hon Andrew Stoner MP, is to be advised of Council’s representations. The following report is the same as that submitted to the General Purpose Committee meeting on 18 January 2011. It is unlikely that an answer on program charges will be forthcoming by this meeting. A Liaison Committee was held on Tuesday 13 December 2011 to consider the draft 2012/13 BID for Kempsey and Nambucca Shire Councils. The draft “BID” is now being provided to Council for consideration. The provision of the proposed 2012/13 budget from the Acting Zone Manager is not in accordance with Clause 8 of the Service Agreement. b) A probable contribution by the Councils to the NSW Rural Fire Fighting Fund (“the Fund”). However, appropriate changes have now been implemented to ensure that future budgets will be brought back onto the correct timetable and provided to Council for consideration. · The draft “BID” does not include any proposed plant replacement. Whilst plant is aging, the use of the appliances is minimal and in the event that there was an event, plant and equipment would be sought from other regions. The economic implications associated with the ability of Council to fund RFS contribution increases are off-set against the reduction of Council services to Nambucca Valley communities to compensate for the increase. There is the risk of an increase on the draft “BID” once it leaves the regional office and forwarded to the state. The draft “BID” presented by the Acting Zone Manager is lean and in the event that the budget is over expended by the RFS, Council will be required to pay for the over expenditure. The draft “BID” does not include any proposed plant replacement. Whilst plant is aging, the use of the appliances is minimal and in the event that there was an event, plant and equipment would be sought from other regions. The 2011/12 budget incorporated the RFS contribution based on advice of the RFS Area Acting Manager for the Lower North Coast Zone at the April GPC meeting originally set at $235,282.51, however Council staff anticipated a continuation of the unwarranted increase in contributions and allocated $184,000.00 in the 2011/12 budget.